THANK YOU to the greatest all volunteer staff in the world! Hanson Brother’s Moving and Storage, Katie at The Stranger, Mo at Sonic Bids dot com, Michael Kleinman, Editorial Goddess L.L. Bennett, Jeremy Jewell at signs4you.com, Scott at Alexander Party Rentals, Jeff at Keep Posted, Bob Smart and Dave Damit and CannaCon, Evan at Hollywood Lights, Mark and NAF Productions of Seattle, Zachariah and Dodge Sound, Northwest Stage and Sound of Tacoma, Dave and Lucas at CMS Security, Chris and Tony and the Seattle Police Department, The Port of Seattle Police Department, Chris and the Seattle Special Events Committee, Kyle and the Seattle Parks Department, Tom and Tim and the Seattle Fire Marshall’s Office, Seattle Medic One, Skip and Marie Jensen at Post Industrial Press, Brandon and OSP Security, Kornman of Washington, Dan at 420 Web Pros, Farhad at Culture Yard, Chris Baker & The Oregon Crew, Lida from National Fence, Tim & everyone at NW Cascade, Ronda Marcy, recycled cycles, Greg Logan, Rick Steves, Smith and Warren Badges, Atty Fred Diamondstone, Atty Doug Hiatt, Aaron Pelley & Maggie from NWMJ Law, Rob at Expedia, Brandy, Daron, Brasco and everyone at Cannabis Radio, Amber and Chris from Sensi Mag, Dave Rheins and the Marijuana Business Association, Jot at Hemp Ace dot com, Ah Warner of Cannabis Basics, Dawn Darrington, Walter Connolly, Ken and Emily. – all masters of our Universe and Lords of Our World! 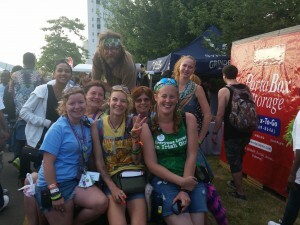 A special thank you to ALL the HEMPFEST Central volunteers, especially the volunteer of the year our amazing Hempfest Central staff heroe Michael Brown, and of course Kailyn, Edi, Steve, Tesla, Charles, & Barb. A very special thank you to everyone who respects and protects our neighbors, these three beautiful parks, and the businesses that are around them. We really want to make a good impression, and you help us make that happen. Thank-you all for your support. We couldn’t do this without you!